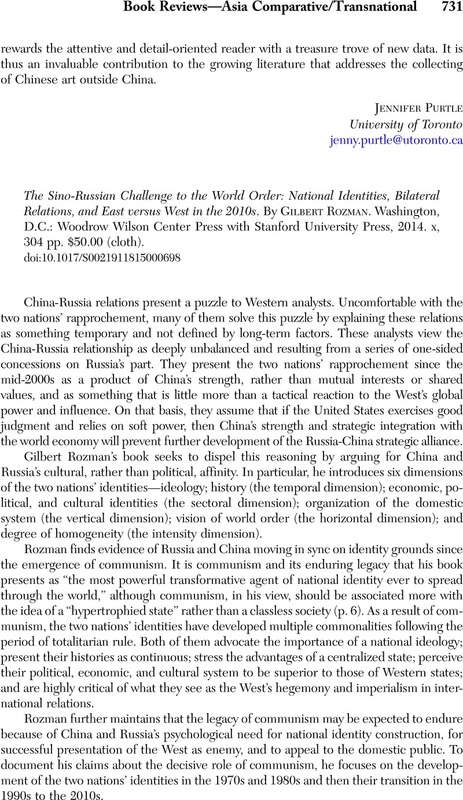 The Sino-Russian Challenge to the World Order: National Identities, Bilateral Relations, and East versus West in the 2010s. By Gilbert Rozman. Washington, D.C.: Woodrow Wilson Center Press with Stanford University Press, 2014. x, 304 pp. $50.00 (cloth).